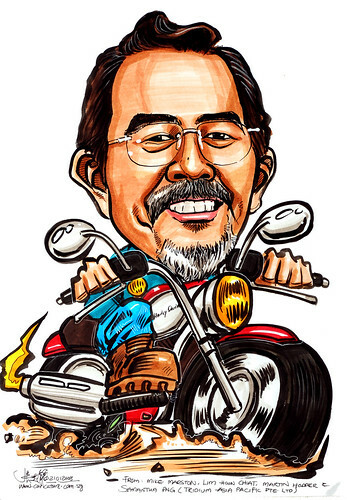 He must have a craze for Harley Davidson bikes, as the client requested me to draw him riding it. Turned out quite good, slightly beyond what I have expected initially. Maybe because of the big curl (I exaggerated it slightly) on his top, and his beard. Think the treatment of shading part of the face helps a lot too.